Go2 contracting is your Colorado Springs roofing company of choice for many reasons, but one we are excited to tell you about is our offer for a free upgrade to impact resistant shingles! We understand that living along the Front Range of Colorado comes with its own set of worries along with the more obvious benefits that Colorado Springs and beyond have to offer. Namely, the weather can get pretty dicey around here between the wind, hail, and winter storms. But when it comes to roofing, going with Go2 Contracting as your roofing contractor means you can rest easy regarding your roof repair needs. In fact, our roofing service department has grown to become of the most highly-regarded aspects of our roofing company. We offer exceptional experience and attention to detail, and right now, you can get our shingles that are specifically designed to brave the wind and hail — free of charge! 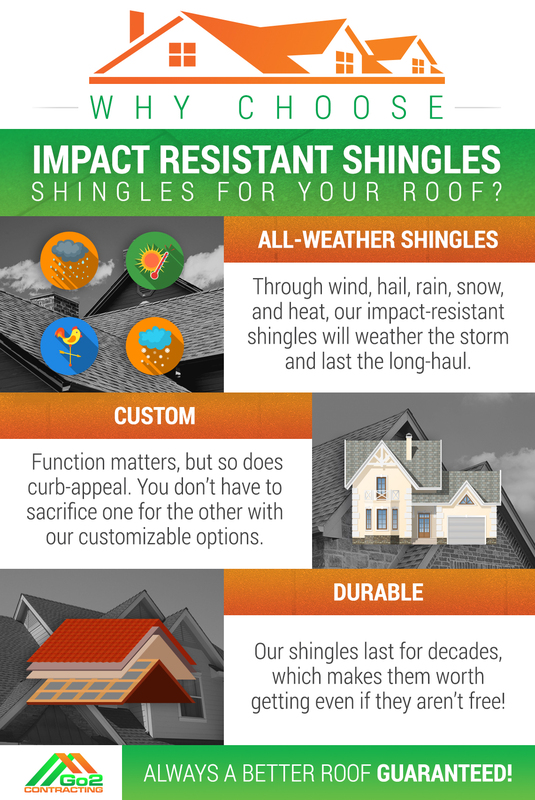 All-Weather Shingles – Through wind, hail, rain, snow, and heat, our impact-resistant shingles will weather the storm and last the long-haul. Custom – Function matters, but so does curb-appeal. You don’t have to sacrifice one for the other with our customizable options. Durable – Our shingles last for decades, which makes them worth getting even if they aren’t free! We are committed to providing you with the best customer service you’ll find. We put our money where our mouth is, as well — with our 48-Hour Pledge, you can call and let us know about your roofing issue, and we’ll be on-site to find and diagnose the problem (either temporarily or permanently) in less than 48 hours. 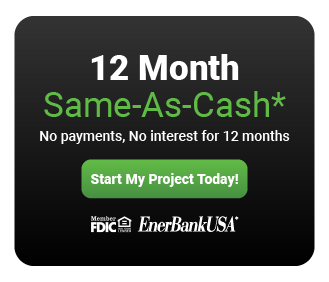 Homeowners can take that promise to the bank. Whether you are interested in a roof replacement or a roof repair, Call us at Go2 Contracting today for a free estimate and to learn more about the free impact-resistant shingles you can get at your Denver and Colorado Springs roofing contractor of choice!